Itching, inflammation, and irritation from eczema can be so intense it takes over your life. But there is help, Chinese medicine physicians have long used acupuncture and herbal medicine to treat eczema which is supported not only by thousands of years of clinical experience but also a number of recent clinical studies. Eczema is best understood as a group of skin conditions that have similar types of inflammation including dry skin, redness, scale, and blisters. Eczema develops because of an interaction between the person and the environment: someone has a genetic propensity for dry skin and allergies when contact with soaps and irritants trigger the development of eczema (1). For many people the itch precedes the rash and inflammation. This is why it is said that eczema is the “the itch that rashes.” Scratching the skin leads to inflammation. Eczema has existed for many generations, however it’s frequency is rising rapidly within the last century. No one knows the exact cause of the increase in eczema, but factors include irritants, harsh soaps, over bathing, allergies, environmental pollutants, and diet. While the exact cause is unknown, eczema skin has distinct characteristics: dry skin, increased IgE production, a tendency for the overgrowth of staphylococcus aureus, higher skin pH, and a deficiency in gamma-linolenic acid (GLA) (2). Traditional Chinese Medicine refers to eczema as the “wind of four crooks” referring to the eczema rashes on the inside of the elbows and knees which are the common locations of the condition (3). Chinese Medicine understands eczema as an imbalance of body’s energy which allows external pathogenic factors to attack causing itch, inflammation, as well as dry and red skin. 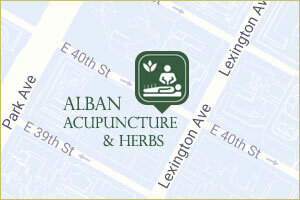 The acupuncture and herbal therapy are customized to address the underlying imbalances. Heat, wind, dampness, toxins, or others are the most common for eczema. The determination of the underlying imbalance is important because it will govern which specific herbs therapy and acupuncture points are used. Chinese medicine can bring about profound and lasting results. This is thought to be due to the immuno-regulatory effect of Chinese herbs, acupuncture, and topical emolliants. Rather than suppressing the immune function acupuncture and Chinese herbs help to bring it back into a healthy state. Research has shown that Chinese herbal medicine is linked to a reduction in corticosteroid use in children (4). To be effective the acupuncture and herbs must be customized to each individual’s condition. The right Chinese herbs and acupuncture help to relieve the inflammation causing the eczema. Chinese herbs are prescribed in combination of 8-12 herbs called a formula. Each formula is tailored to address the cause of the eczema. Each type of eczema requires the use of different herbs which is why getting the correct diagnosis is very important. Topical herbal creams are important to nourish and balance the skin. There are many types of eczema which we often treat with acupuncture and Chinese medicine. Chinese medicine treats atopic eczema not by suppressing the immune response, but rather correcting the imbalances that are causing the eczema. By correcting these imbalances your body is able to heal on its own. Heat and dampness are the most common causes of eczema. This is a very important differentiation because the treatment for each type of eczema is very different. Each type of eczema requires the use of different herbs which is why getting the correct diagnosis is very important. Eczema from dry-heat requires herbs that are cold but not drying which may include sheng di huang (rehmannia) and jin yin hua (honey suckle). If damp heat is present herbs that are cold and drying, such as long dan cao, are effective. Pompholyx eczema is a type of eczema of the hands and feet that causes vesicle eruptions, itching, and fissures which can be quite painful. Sometimes called dyshidrosis eczema because it is thought to be caused by sweating on the palms and feet. Pompholyx eczema generally cycles in periods of flare ups with vesicles and resolves with the formation of scales. Pompholyx eczema can be a very difficult conditions because it affects your ability with common daily functioning. The most common imbalances which cause pompholyx eczema are damp heat and toxins. The skin will reflect characteristics that provide information as to the nature of the imbalance. For example, redness in the skin and yellow crusting are signs of heat toxicity. While vesicles and swelling are a reflection of damp heat. The level of itching shows how intense the signs of dampness are. Stasis Eczema occurs on the lower legs in some patients with poor circulation and swelling of the legs. After a number of attacks of inflammation the condition may become chronic and recurrent. In Chinese medicine this is most often related to lack of circulation of blood, called blood stagnation, and damp heat. Nummular eczema is a common type of eczema that affects primarily middle aged and elderly persons. It’s characterized by a coin shaped red and itchy eczematous lesion which often occur on the arms and legs. Small blisters called vesicles are common and it is easy to become infected. In Chinese medicine, Nummular eczema is most often related to damp heat and heat toxins. Fingertip eczema may begin as an allergic reaction or it may develops from unknown causes. If often becomes chronic and very irritating as it impedes on daily activities. The skin of the fingertips can become very dry, cracked and scaly. Fingertip eczema can be treated with Chinese herbs very successfully helping to avoid and reduce the use of topical steroids. Lichen simplex is a chronic eczematous like reaction caused by scratching. This can often be brought upon by a stressful situation in one’s life. Long term scratching of an area leads to thickening of the skin. The Chinese medicine treatment aims and reducing itch and calming the mind through acupuncture and herbs. 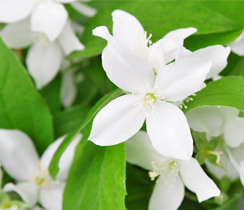 A number of studies have shown that a Chinese herbal formula is effective in treating eczema. One double blind randomized crossover study treated 40 adults with chronic eczema with an herbal formula (in later studies, this formula is entitled Zemaphyte). This study concluded that the herbal formula was effective for reducing skin lesions, redness, itching, and helped the patients sleep better. This same formula later showed to have immune system regulatory effects. Cork MJ, Danby SG, Vasilopoulos Y, et.al. Epidermal Barrier Dysfunction in Atopic Dermatitis Journal of Investigative Dermatology. (2009) 129, 1892–1908. Published online 4 June 2009. Ruzicka T. Atopic eczema between rationality and irrationality. Arch Dermatol. 1998 Nov;134(11):1462-9. Mazin Al-Khafaji. Atopic Eczema “Wind of the four crooks.” Journal of Chinese Medicine. Number 77: p5-8. February 2005. Chen HY, Lin YH, Wu JC, et. al. Use of Traditional Chinese medicine reduces exposure to corticosteroid among atopic dermatitis children: a 1-year follow-up cohort study. J Ethnopharmacol. 2015 Jan 15;159:189-96. PubMed Health. Atopic Eczema. Accessed 1/5/2015.